Special Force 2 Philippines ★ Super Incredible Awesome Pistol User - KABALYERO - PLAY, BLOG & EARN! Wow! 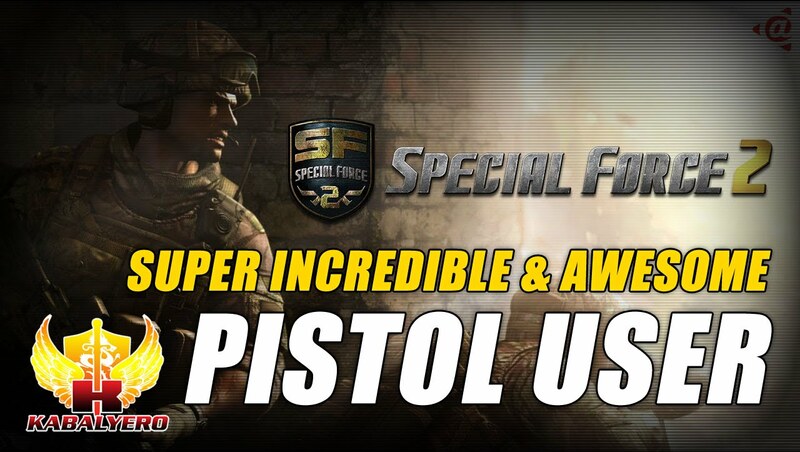 Special Force 2 Philippnes has a Pistol User who is simply Super, Incredible and Awesome. I was playing in a match in Special Force 2 Philippines when I encountered an awesome player. Unfortunately, I wasn't able to record how great this player was in that match but I did encounter him again in another the Sniper Point Match and here is how awesome this player was. He did 10 straight headshots with a pistol in a Sniper Point Match. Seriously, that level of skill is Awesome and it's Super Incredible. I'm sure this player will dominate the world of e-sports one of this days. ► Special Force 2 is a multiplayer online first-person shooting game. Now, if you like playing Special Force 2 then maybe you will like Battlefield: Hardline (http://bit.ly/1PrMkZI) and Call Of Duty: Black Ops III (http://bit.ly/1Ucul8N) as well. Anyway, the game is Special Force 2 and I'm playing in the Philippines Server. Now, if you're playing Special Force 2 and you see me in the game then please don't kill me because I'm not very good. Anyway guys, do you agree that this player is Awesome and Super Incredible? Post your answers as well as you comments, questions or reactions in the comments section below.